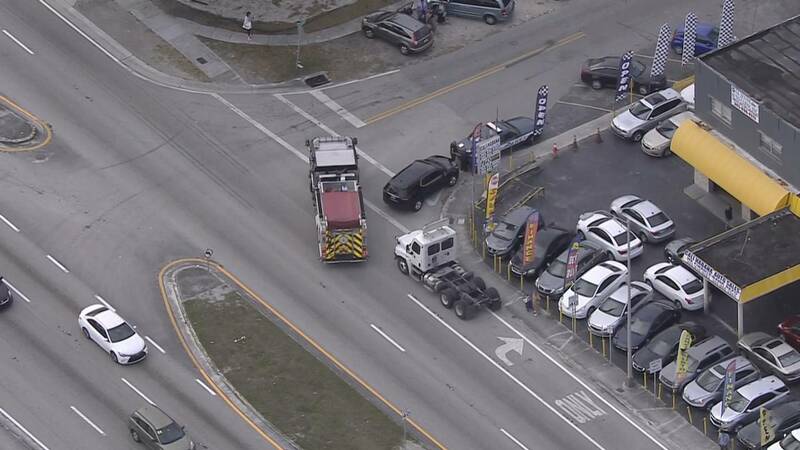 HIALEAH, Fla. - A 79-year-old woman was struck by a semitrailer truck Wednesday morning in Hialeah, authorities said. The incident was reported in the area of East Eighth Avenue and 41st Street. Sky 10 was above the scene shortly before 11 a.m. as a firetruck and the semitrailer truck remained at the scene. According to Hialeah Fire Rescue Capt. David Rodriguez, the victim suffered head and wrist injuries. He said she was awake and alert while being airlifted to Jackson Memorial Hospital's Ryder Trauma Center.